My daughter loves animals and can name so many of them. Right now she is into making all of the animals sounds. 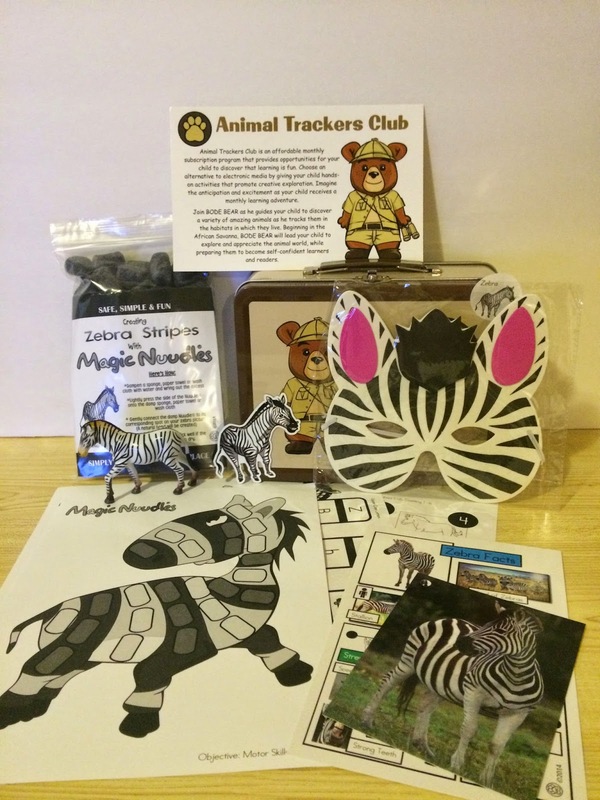 I jumped at opportunity to review the Animal Trackers Club with my daughter. I love that she can learn all about different animals in a fun, educational and hands-on way. 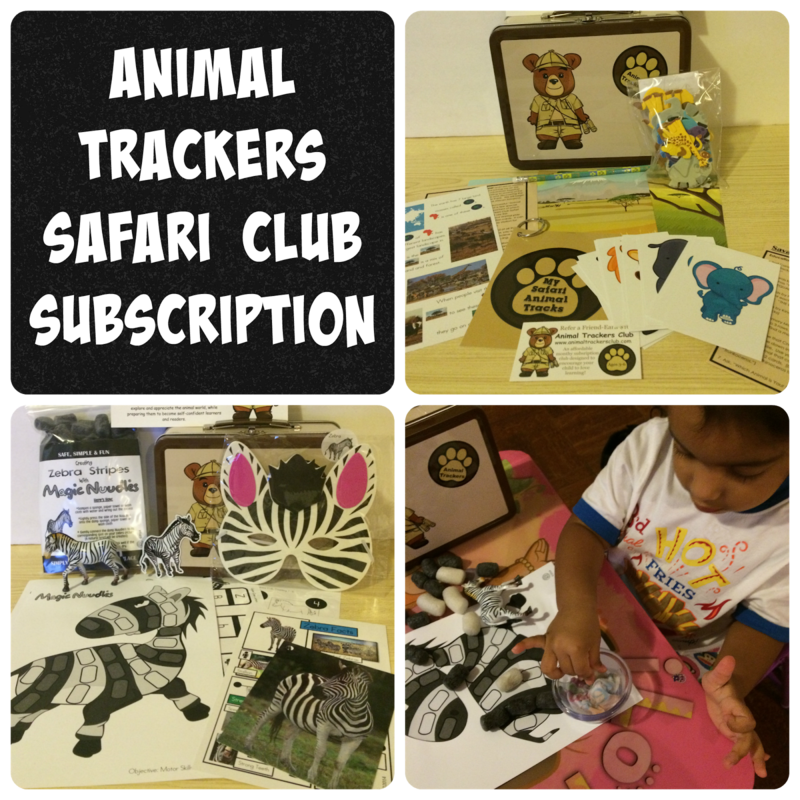 The Animal Trackers Club is an affordable subscription program that is geared towards 3-7 year old children. Each month your child gets to "track" a different animal with instructional materials and hands-on learning. 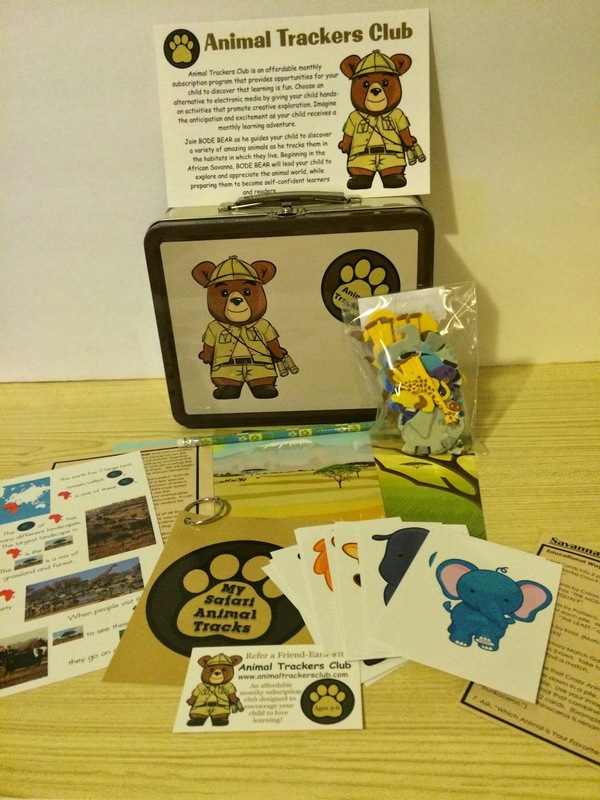 In the initial subscription box you get an Animal Trackers Club Safari Lunchbox loaded with different animal items. Your child can use the lunch box to play with all the different animal magnets they will receive and also as storage for all the items. My daughter loved the zebra figure and even used it by letting her little princesses ride on it :). 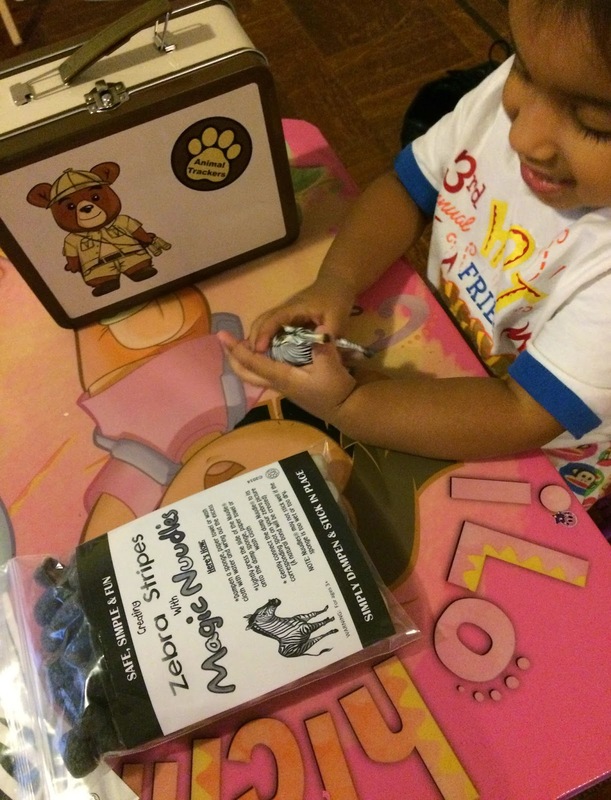 She really enjoyed the art activity that included these fun magic zuudles that she got to stick on the stripes of the zebra. I read the information cards to her and showed her the different pictures on the cards. We also played with the flash cards that came with the initial kit matching the fronts and backs of the animals. My kids used to be so into stickers.. this would be have great to get..
That is way cute. I want to get that for my nieces for Christmas. That is so cute! I love the lunch box! This is a new one. I like it very much! Very cute. I love stuff like this for little kids. It's a great way to get them into learning about the natural world early. My kids are in love with stickers, Ill have to look into this for my youngest especially. This looks really fun. I think my kiddos would love this. Looks fun. My nephews would love that. My daughter is such an animal lover. She would love this so much! What a good way to entertain little ones. It looks like your little one is really enjoying it. What a fun pack. My daughter would love this. I love this simple intro the world of animals. I can see how kids would love it! Awwww, that is such a cute concept! I know my animal lovin' kiddos would have fun with it! My son loves animals and this would be a great gift for him! that looks like a blast. i bed my girls would love it. My kids love animals...this would make a great gift for them!